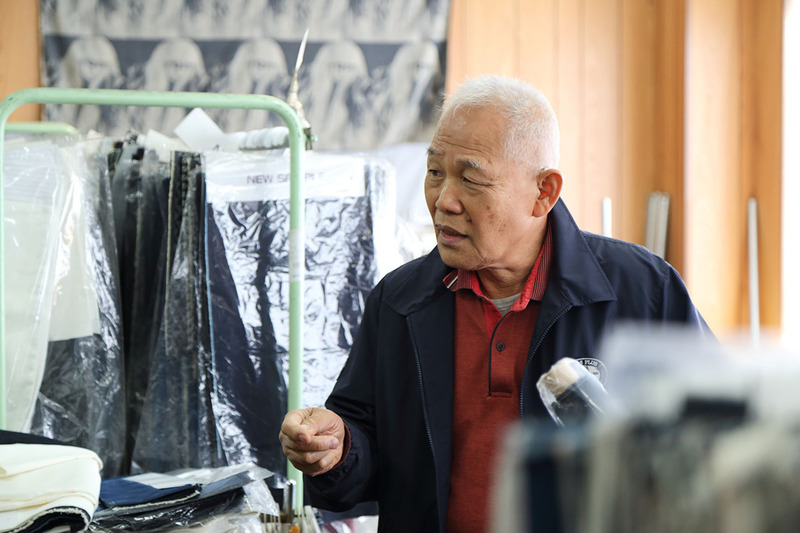 Mr. Masafumi Yoshikawa, the third generation President of “Yoshikawa Orimono Co., Ltd.,” says proudly, “We are a forerunner of premium jeans. I went to Belgium to visit spinning and trading companies, and I went to Turkey to see organic cotton fields. I have been to many countries for making denim.” Around 1897, the company was founded in Ibara City, Okayama. At the beginning, an indigo dye factory and textile factory were established, but around 1960, they focused their energy on textiles. Committed to quality, they stay sharp up even to the edges of fabrics that are to be trimmed during production. Mr. Yoshikawa refers to this as the characteristic persistence of a Japanese person. “When we say the single word “denim,” some items can be mass-produced in abundance if high-speed weaving machines are used. But the denim made in that way is sometimes uncomfortable to wear or rough in detail. Even if the time required increases several-fold, good things must be made.” His non-negotiable spirit as a maker is reflected deeply in his eyes. “Yoshikawa Orimono” was ahead of others in the introduction of made-in-France jacquard looms dedicated to denim. Jacquard is a special way of weaving for decorative patterns or to weave patterns into the fabric itself by interweaving warp and weft in a complex manner. It has come to be called “jacquard” because it was invented by a man named Jacquard in France during the early years of the 19th century. Every item is a special order because patterns are woven into fabrics themselves, which is not print or embroidery. 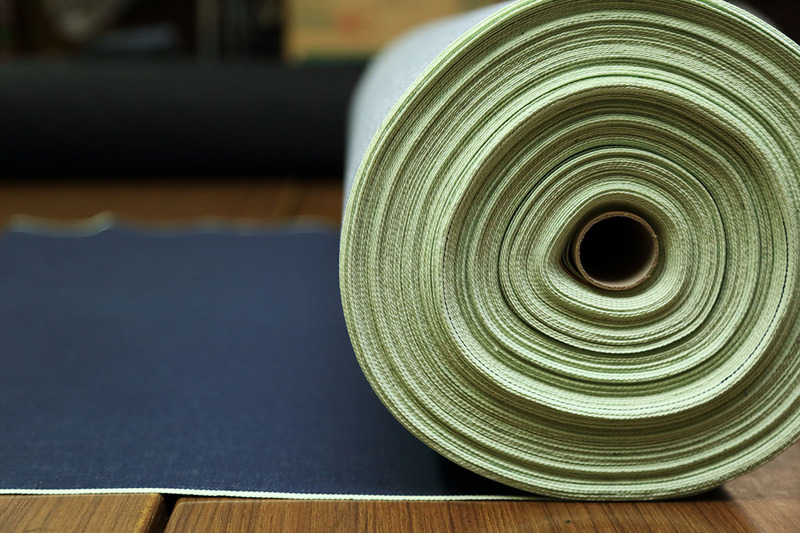 As a matter of course, finished fabrics are extremely valuable. 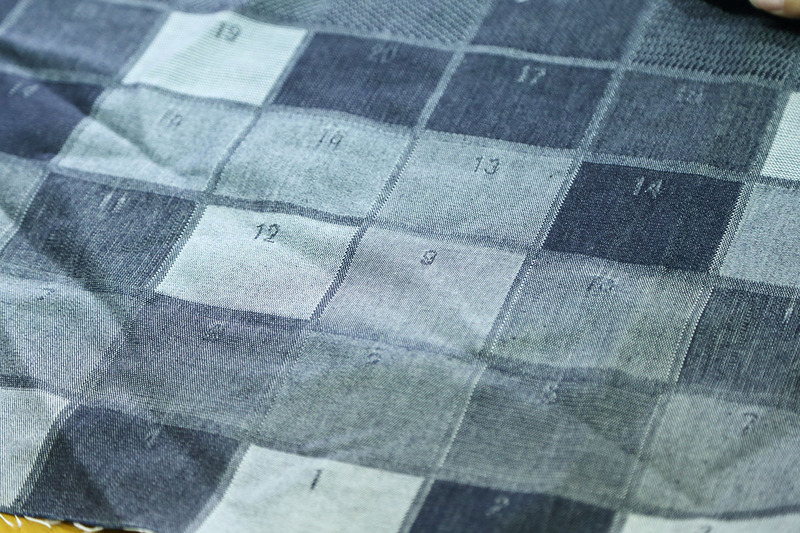 “At first, these patterns were hand-drawn one by one while making fine corrections to make decent textiles.” While time proceeds with use of high-performance weaving machines, he never forgets his anguish and passion of that time. 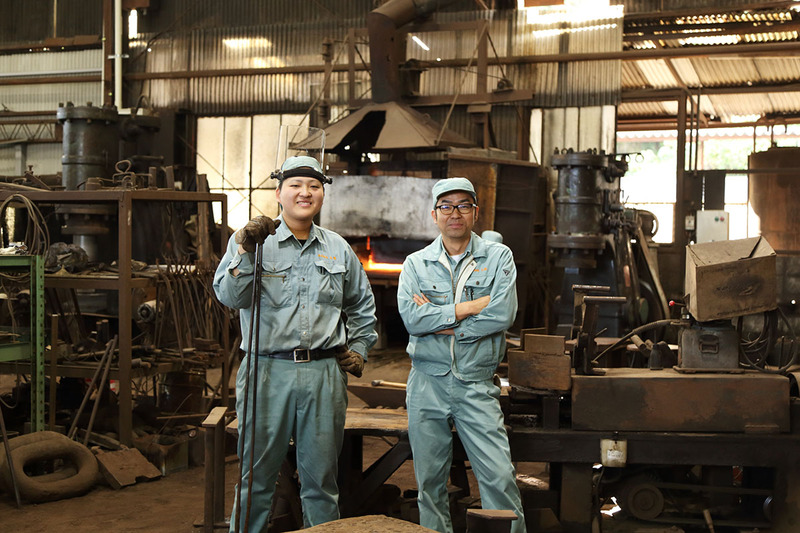 Because of an accumulation of years of steady steps, Mr. Yoshikawa’s artisanal spirit will never disappear but remain glowing. This is a texture sample of jacquard fabrics. Fabrics appear so expressively with different combinations of warp and weft in their quantities. “A pattern will develop by weaving with favorite textures selected like No. 1 for this part and No. 2 next to it, for example.” Such a casual reference is made that texture samples are not uncommon, but the sample, which is rarely seen except in the apparel profession, has a solid presence in itself like a finished piece of work. The factory in which already-complicated jacquard fabrics can be woven with pitch-perfect high quality and also with denim is absolutely treasured around the world. 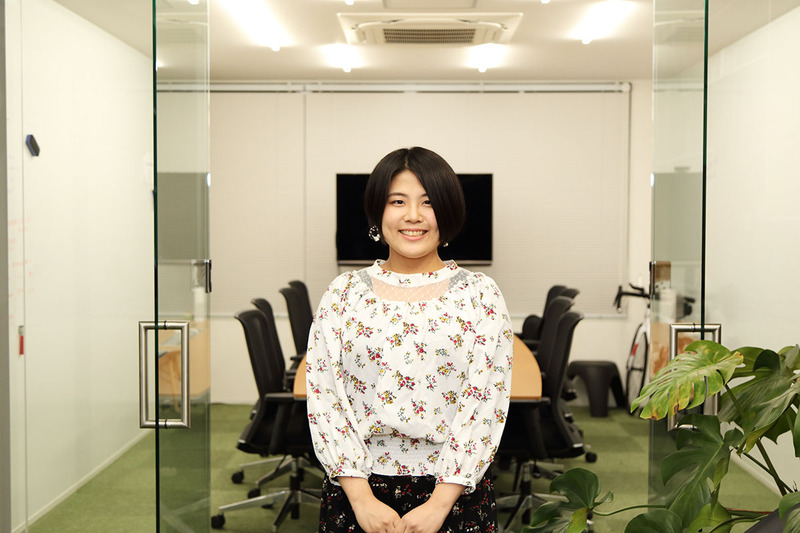 In fact, it is reported that Yoshikawa Orimono is producing denim fabrics of luxury brands called superbrands in various countries. It is quite possible that jacquard denim the world’s fashionistas are wearing may have been made in a small factory in Ibara City, Okayama. Finally, Mr. Yoshikawa showed genuinely original fabrics woven with cotton he had grown on his own. “I grew cotton in a field near the factory, and cropped and dyed it with indigo. The selvages are pale-green, which is Ibara City’s image color. What does it cost? It is priceless.” Being a little embarrassed, Mr. Yoshikawa smiled proudly. 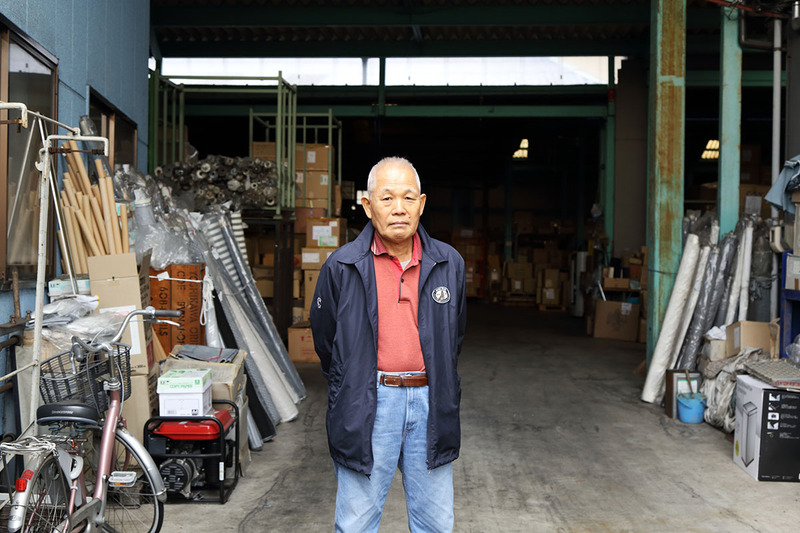 The strength and suppleness of Mr. Yoshikawa who has kept the factory running are surely woven in every denim fabric and every fabric grain created by Yoshikawa Orimono. 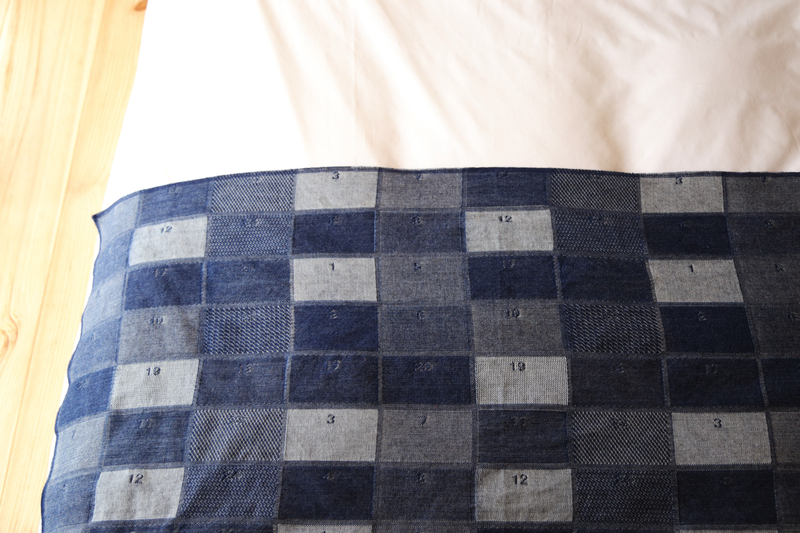 The denim having been made to order by uploading the jacquard texture sample just this time is used for bed throws to make the space sharp and clear, and in-house bags handed out to guests. The fabric-making full use of the soft texture of jacquard is used for obis for room wear. Touch the small factory’s pride thinly veiled in delicacy and its story.  Founded around 1897 in Ibara City, Okayama, it is known as a domestic denim producing area next door to Fukuyama City. The factory mainly produces yarn-dyed denim, white fabrics, and jacquard denim. 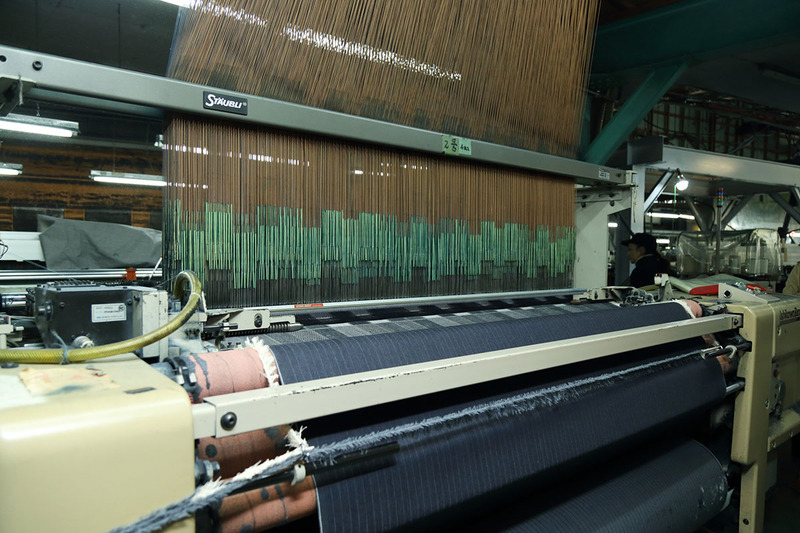 The factory operates 20 jacquard looms that are said to be rare in Japan and receives orders for high-quality denim by meticulous persistence from superbrands in various countries around the world.